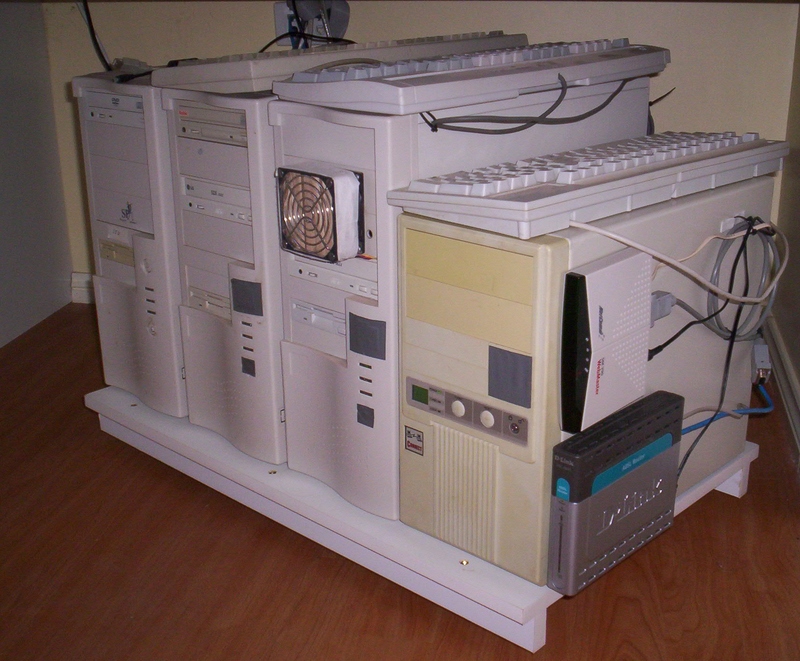 Peacocktech.com is hosted on a 1.7Ghz P4 Celeron/768Mb Ram/10Gb (soon to be upgraded) HDD, running Apache James (Mail), Apache Tomcat (Web). Recently Apache HTTPD and MySql have been installed for development/testing of a university project, as well as a CVS server. The James server is running several custom Maillets, primarialy to handle distribution/discussion lists. Research is under way to provide a servlet based web-mail service. 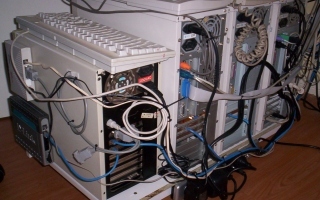 The web server is supported by two other servers. 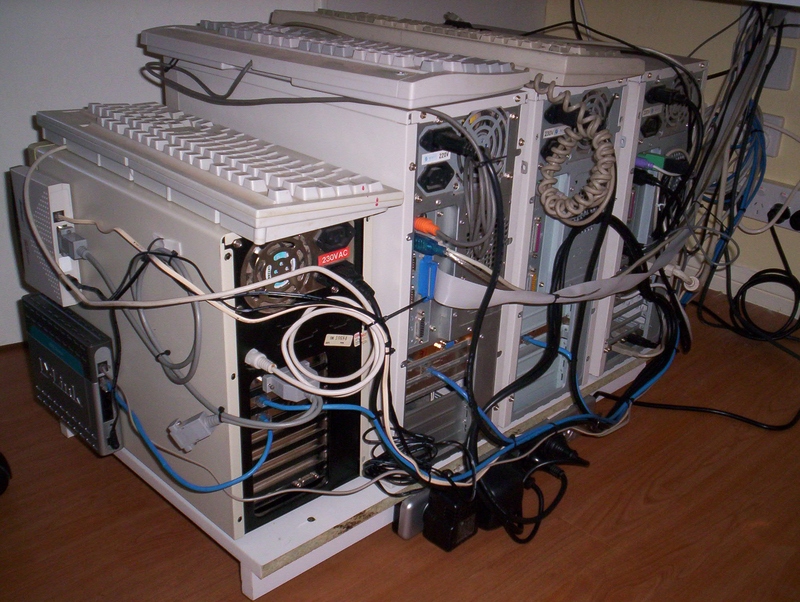 The first is a low class P1 IpCop firewall. 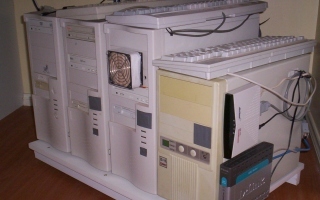 The second is the family file/print server (400Mhz P2/256Mb RAM/4Gb System HDD/223Gb Data HDD (3 hdds, with front mounted fan for cooling), which stores backups for the web server. 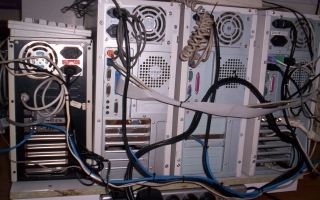 The servers are shown here. 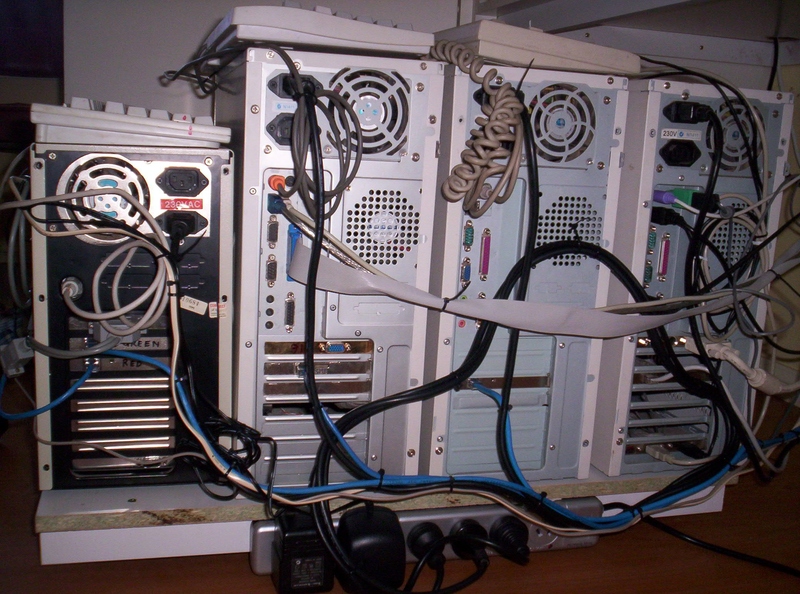 From the right, the Firewall (with ADSL and backup dial-up), the file/print server, the web server, and a PC/workstation.